Agree with Reshmi. As I am half-way through, the text disappears. Nevertheless, awaiting eagerly! Why not put up more contests? As far the category of genre my 'fanciful' author has chosen to brainstorm and reflect on, I'm curious to know what corners of life have been discussed, and how it will differ from the other versions of her composition (fiction genre). 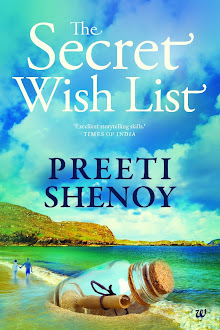 Although I must admit I'm fascinated and riveted to her fictitious approaches, I find them narrating life right to the marrow, this exclusive book is straightly a keenness, and if possible, I'm waiting with suspense to grab an autographed copy of the author, my inspirational 'Preeti Shenoy' Ma'am. The sentences appearing in random order do not register immediately and disappear very quickly before i can appreciate the meaning. It would have been better if the sentences appeared slowly as complete sentences so that the meaning would actually dawn upon the person reading it. 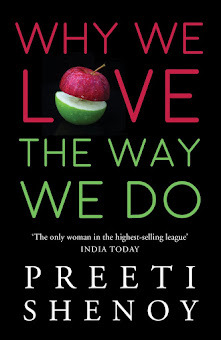 Anyways , eagerly waiting for the new book . I wonder what depth of relations have been touched upon in the new book. Waiting with a baited breath. Why not set up a pre book launch with flipkart or amazon ?? Waiting eagerly to grab a copy of the upcoming book. So far your works have never turned me down. Relationships being one of the integral part of our lives, definitely calls for a lot of unexplored questions and answers. The content look pretty interesting so far and it looks obvious that all of us can have a lot of take away from this book. Wishing you All the Best for the Book Launch!!! Keep Writing!! Lots of Love!! All the very best for the Launch...wishing the book a grand success. Thank you! :) I too thought the video was nicely made. Didn't think text would cause a problem.